Last week, my girl friend met an accident and her car faced a major damage on the left fender. So I lent my car to her and she parked my car outside of her condo. It was OK for the first few days but in the morning of 9th of Oct 2010 when I went over to drive my car, I notice that my rear screen was broken. Not sure what happen, suspected that some low can sons tried to break into my car but luckily nothing was stolen. 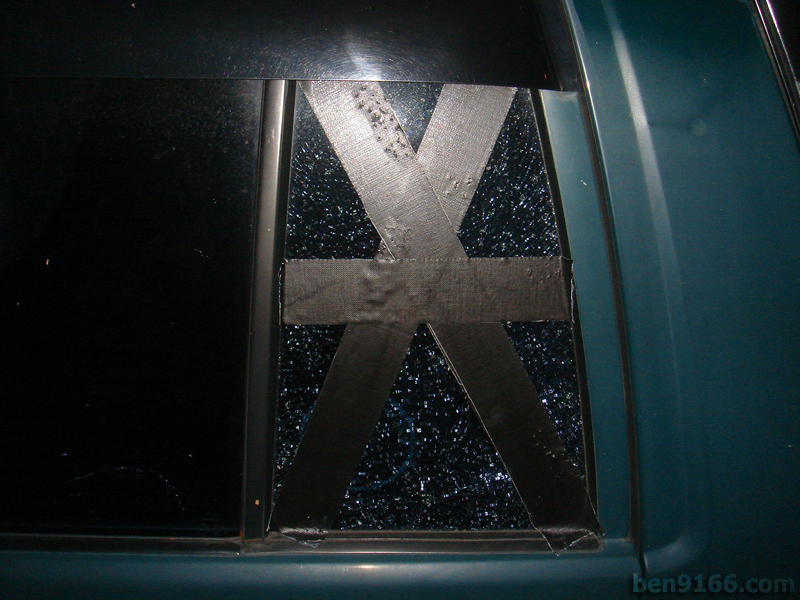 Can't really source out a rear screen from halfcut shop, therefore I used a tape to tape it to secure it. What a bad day for me and stupid act by those idiots who tried to break into my car because there is nothing to steal (no meters at all) except the pioneer CD player which probably cost less than RM100.